As you know Almost every smartphones have either a Lithium Ion battery or a Lithium Polymer battery. Both are Lithium Ion though, and as such, do not have a ”memory” which means you don’t have to fully charge or discharge them at the beginning.so it’s actually better to partially charge them than to fully charge and fully drain them.Lithium-Ion battery also won’t”overcharge” and cause the battery to explode or catch on fire. 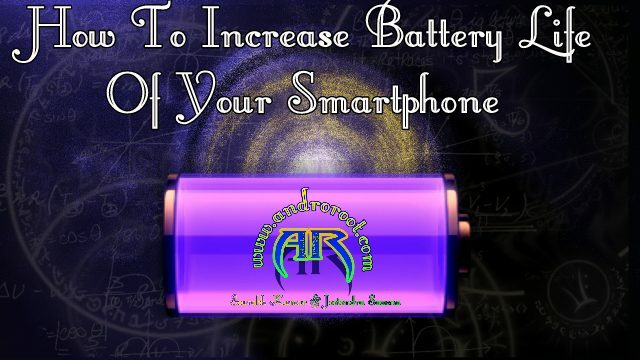 Always seems like your phone never has enough battery life, so here are some tips on how to get the most juice out of your smartphone battery.these tips should work on all smartphones Just find the ones that work for you. ♨ Don’t use live Wallpaper and set a black colored image as wallpaper. draining.Battery life will be increased upto 10% with this helpful step. ♨ Turn off 2G,3G or 4G when wifi network is available wifi will save loads of battery and even data if that’s a concern for you. ♨ Turn off Bluetooth,Data connection and GPS when not in Use.Bluetooth and GPS are two of the bigger battery hogs, and should be off if you’re not using them. ♨ Kill or disable All unnecessary running app because it keeps the processor, to work overtime for no reason and drain your battery even more. ✦Android 2.3+: Download and install a third party task managing app,like speed boost. ✦iOS: Double-click the home button, then press and hold on any app and click the minus button in the corner toclear that app from memory. ✦Android 4.0+:Android 4.0 has a great task manager all by itself and third party task managing apps will actually drain more battery than they will save. Press the”Recent apps” button then slide each task to the left or right until it disappears. If you don’t have a recent apps button, press an hold the home button. ♨ If you are using 3g but the connection is not good then switch off 3g and use a regular 2g setting in your smartphone.It will also help you to get rid from over heating while charging.Overheating is usually a sign of the processor working hard to find a better network or processing any task in background. ♨ Switch off your device at night or when not needed. ♨ Always switch off your phone or switch on Airplane mode while Charging. ♨ If all the Above steps failed to increase Battery life of Your Smartphone Then Buy a Power Bank. I hope After Following All above Top 10 steps Battery Life Of Your SmartPhone will be increased.Some Of these steps may not apply to Every smartphone, and that’s okay! Just follow the steps that do and you’ll be good to go!